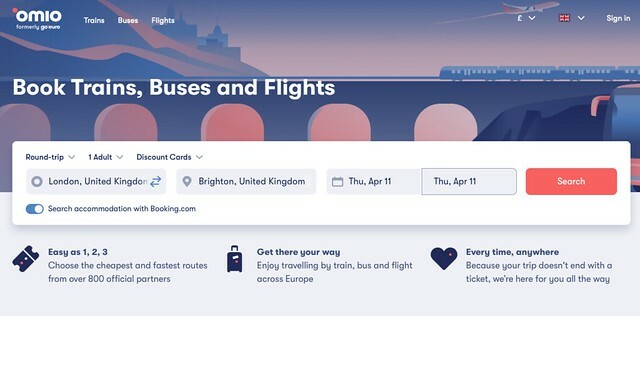 Omio asked me to take their travel search engine app for a test drive and go on a day trip to Brighton and see how I’d get on. Having never travelled to Brighton before and always up for a spontaneous last minute adventure, this was set to be a fun trip ahead. Omio is a booking platform that offers a variety of transportation options such as trains, buses and flights, all in one search. With one search you can find the fastest, cheapest and the best travel options around Europe. A rather handy travel tool to have in your pocket. In fact, it’s always worth having at hand for those last minute spontaneous trip planning ideas. Couldn’t be simpler really: place in the times, dates, A to B locations around Europe and Omio will do the rest of the work for you. At the next stage, you have a few options to play around with. – Maybe you need the quickest connection? 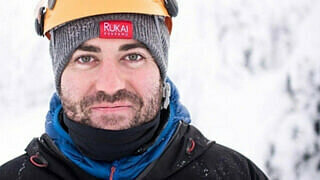 – The cheapest possible price? – Maybe the bus might be easier than train? Or possibly a flight could work out better. Many options to choose from when using the travel search engine, GoEuro. 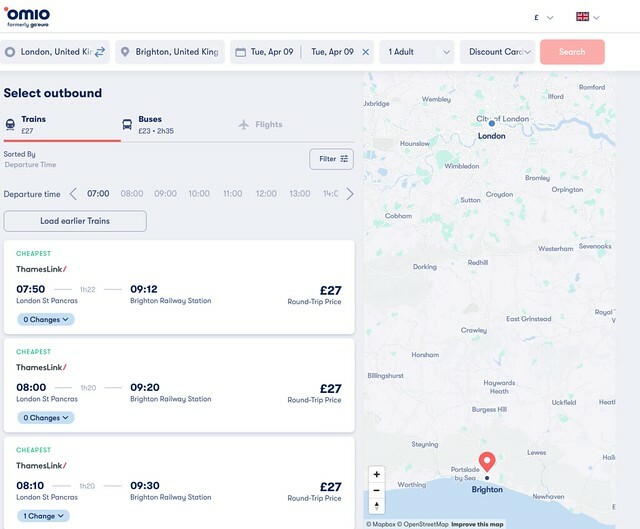 After a bit of searching with Omio, I managed to find one awesome deal from London to Brighton with a one day off-peak open return ticket for only £27.00. That’s one cracking deal of a find! 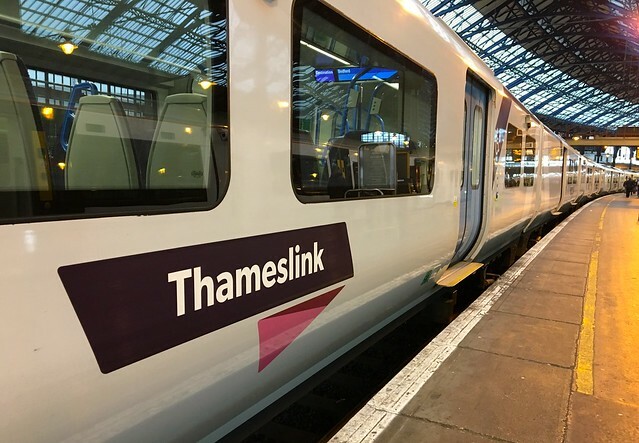 I quickly discovered that by travelling by tube to London Bridge train station you could grab the Thameslink which had better prices on off-peak day returns. This is the smartest feature of using Omio, you can seek out possibilities that you might have not thought about. Omio clearly points out loads of alternatives until you can find a match that suits your travel needs. The one big positive to Omio is they do most of the leg work and I wasn’t able to find this type of price on any other travel search site. You can choose a wide range of preferences to tailor a good deal to suit your own personal needs. Time to travel to Brighton by train for the day! After making a big saving on the train prices, the trip was already off to a good start. Normally train prices in the UK have put me off domestic travel, but this is a good progression towards the right direction. With these types of deals to be found, I think it’s time to travel more in the UK in the future! Travelling to and from London Bridge train station wasn’t a problem at all as you can easily reach the station along the London Underground, Northern line. Journey time is around an hour from London central to Brighton, which makes Brighton a perfect day trip destination. 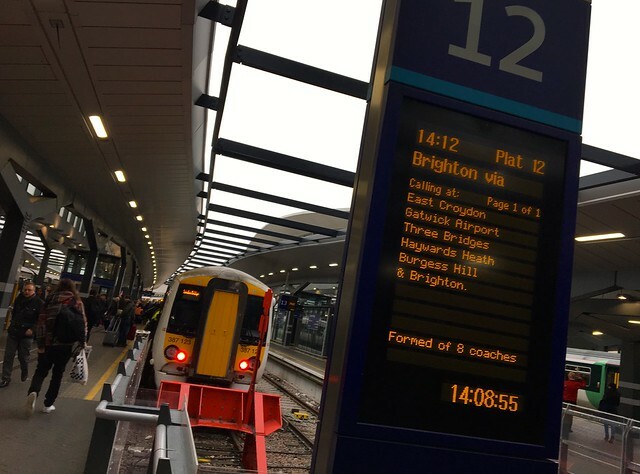 The train route to Brighton is also the main route to reach Gatwick Airport and the train comes equipped with many extra facilities. 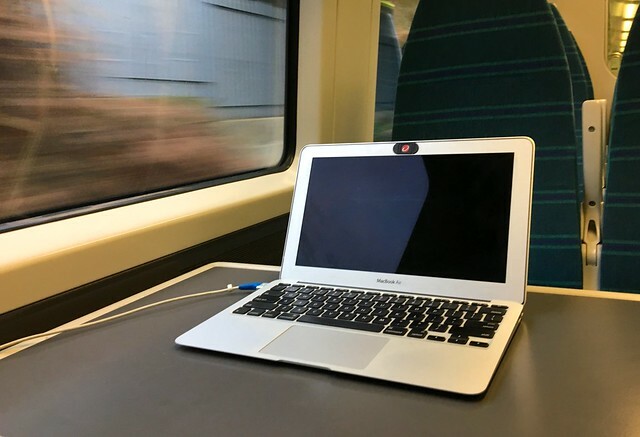 The train itself was fully equipped with large working tables, baggage storage, toilet facilities, power plugs and WiFi all available on-board. This helped make the journey go along smoothly and pass the time. 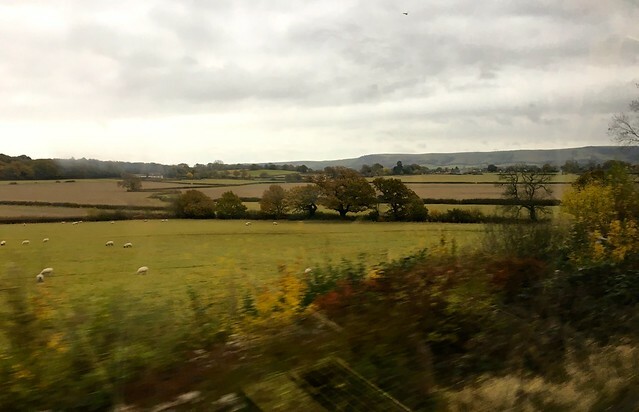 I do enjoy travelling by train around the UK when I get the chance. It’s my preferred way of travelling. Nothing like a nice smooth ride with a wonderful countryside view from your window seat. 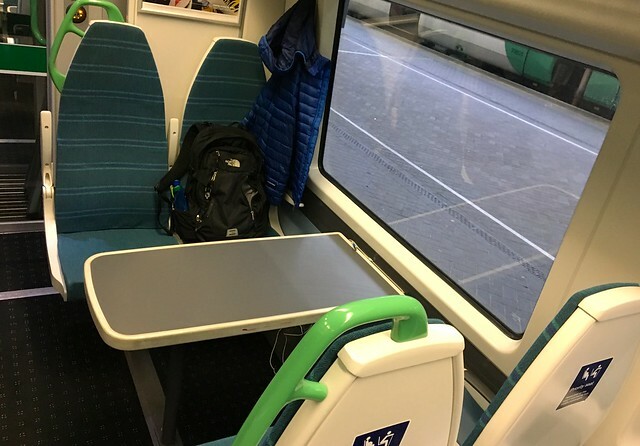 UK trains are mostly very clean as well and make your journey as comfortable as possible. The only downside of course is the price. Happy to have found GoEuro and hope to explore more of the UK in the future if I can keep finding these awesome deals. 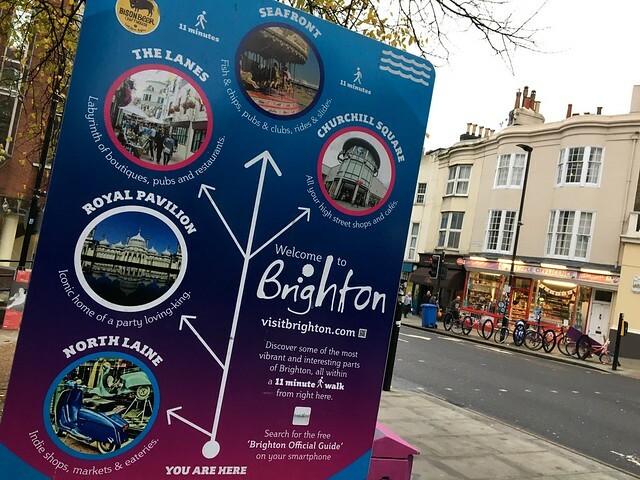 Brighton is a perfect destination for a day trip as everything is within walking distance from Brighton train station. It will take you around 20-25 minutes to walk from Brighton train station to Brighton beach. Brighton has a very unique beachfront indeed, you won’t find any sand here as it’s mostly made up of stones. If like me, you hate getting sand everywhere, then Brighton seafront is the beach for you. Sadly for me, I got a cloudy, cold, grey typical autumn day! But not to worry, still managed to capture the atmosphere with some lovely mystic photos. Fish & chips? Yes, please! 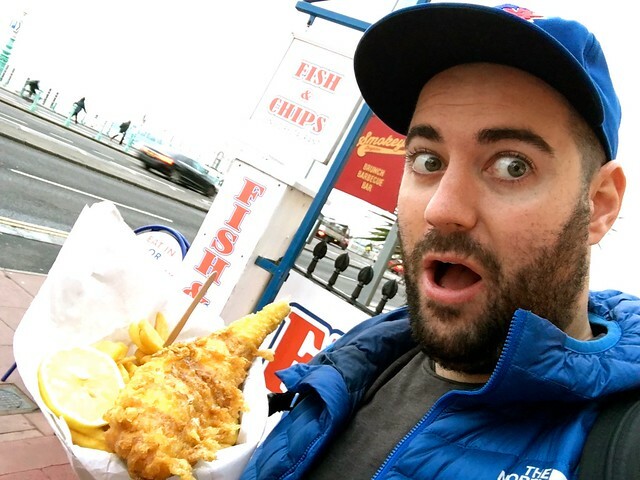 Seems that all trips to the seaside in the UK end up with fish and chips. Head towards the seafront and you will instantly find them all lining up along the coastal walk. Chuck on some salt and vinegar and breathe in the lovely fresh sea breeze! Simply can’t beat freshly caught fish with chip shop chips by the sea, wrapped up in a newspaper. For sure a highlight on a trip to Brighton and not to be missed. Close by Brighton train station you will find an area called the Lanes. Pretty much summed up by its name, here you will find a selection of back alleys and streets that form the area called the Lanes. 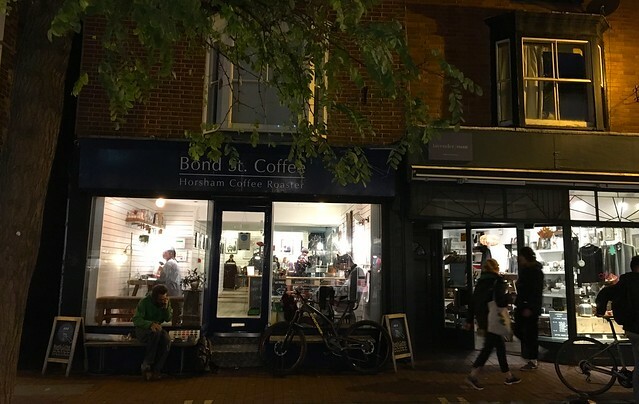 Lined up with boutique fashion shops, cute tea rooms and old school style pubs. Lots to explore around here and you should totally get lost and see what you can discover. 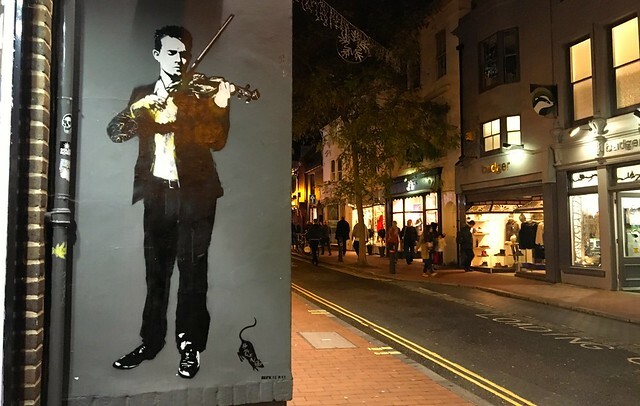 Brighton has a rich street art scene that’s worth exploring. Pop your head around every corner and see what you can find along the way. 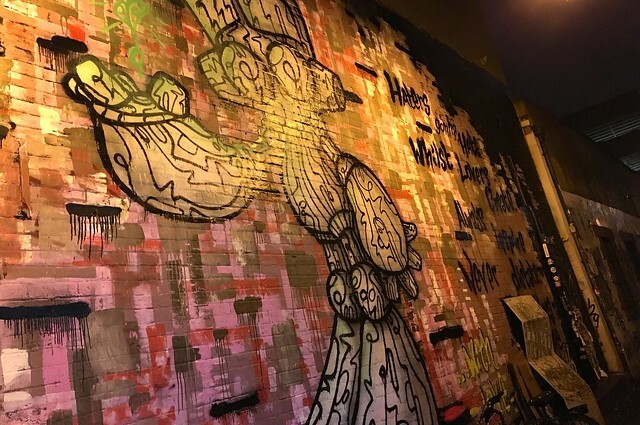 A real mixed bag of designs and street art styles to be discovered in Brighton. You will find most of Brighton’s street art walking towards the Lanes from Brighton train station. 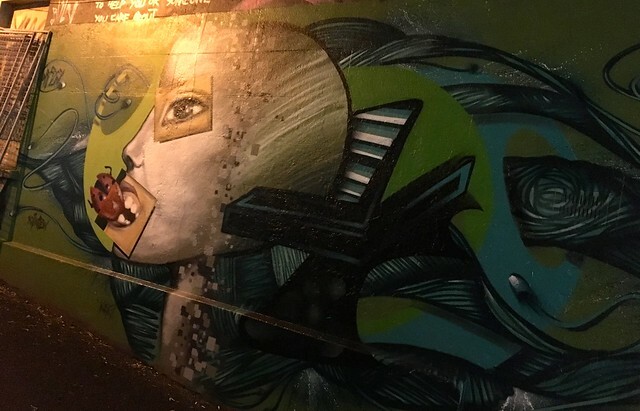 Have fun exploring street art in Brighton, lots to see and discover. 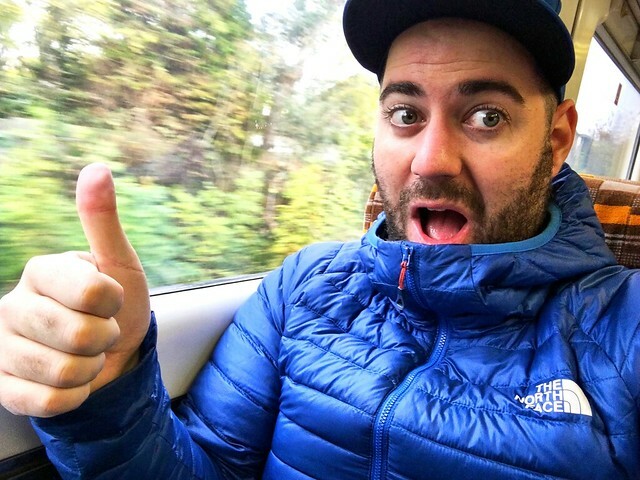 Thank you for reading my blog post about my train trip to Brighton. 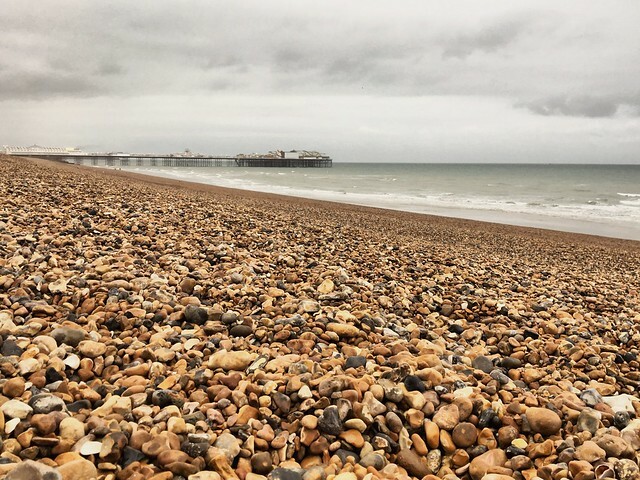 Thank you for reading my blog post about using Omio to travel to Brighton, I hope you found it useful. If you do have any further questions, I’m very happy to help. 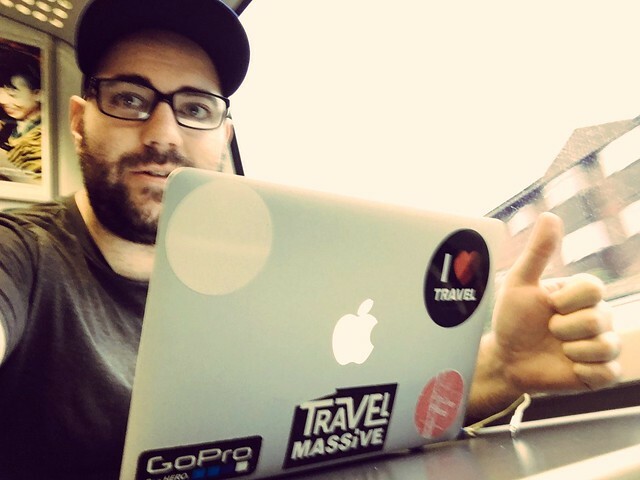 Send me a tweet: @traveldaveuk. Cheers!